For many, the Beyond Good and Evil franchise was confined to the annals of gaming history – a distant reminder of creator Michael Ancel’s unfinished masterpiece and a vestige of vintage Ubisoft. Fast forward to today and Beyond Good and Evil 2 is a bonafide reality with development well underway, though the term ‘development hell’ does spring to mind for reasons we’ll delve into below. As with any sequel, especially one primed for release nearly two decades later, it’s entirely reasonable to ponder how Ancel and Ubisoft will manage to surpass the original cult classic. Ubisoft has followed the usual path of an official reveal, a few thrilling trailers, and a breadcrumb trail of details. These are all welcome nuggets, but they form a rather vague picture of what the game is all about. With that in mind, here’s everything we know so far about Beyond Good and Evil 2. It comes as no surprise that Beyond Good and Evil 2 has no firm release date, nor a ballpark release period or even potential release year. To understand this uncertainty, we must delve into the troubled development history of the game. Beyond Good and Evil was a commercial flop, yet the game gained traction as a cult sensation and unanimously garnered accolades from critics. The viability of a second entry in what was initially conceptualized by Ancil as a trilogy has, therefore, always been at the mercy of the money handlers at Ubisoft. 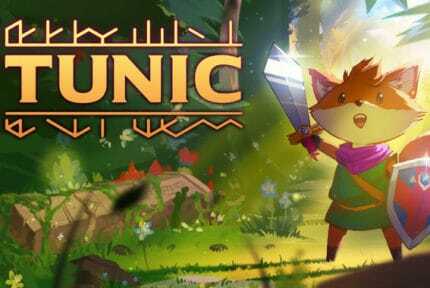 Nevertheless, rumors ebbed and flowed thanks in part to cryptic messages from Ancel as far back as 2007, which revealed he was working on a new game. Ubisoft released a teaser trailer for the nameless project in 2008, which showcased supporting character Pey’j marooned in the scorching heat of an inhospitable desert inhaling a fruit fly through his porcine snout. A gameplay trailer followed shortly afterward depicting an acrobatic jaunt through a teeming city crawling with cops, ending in a daring helicopter escape. 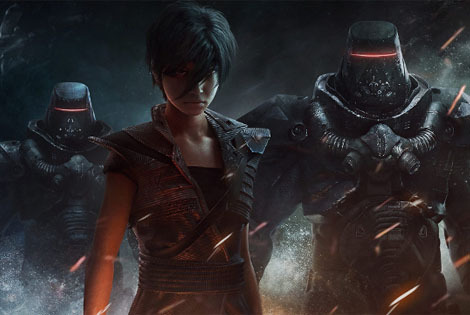 There was no shadow of a doubt that the game in question was a sequel to Beyond Good and Evil. What followed was an eight-year stint of radio silence from Ubisoft, buffered by sporadic and unconvincing interjections from Ancil that the game was well and truly alive. Beyond Good and Evil 2 entered harrowing development hell. Successive rumors see-sawed drastically from Ubisoft putting the project on ice to the publisher outright canceling it. With no certainty as to the fate of the game, fans had no other option than to wait it out. That is, until September 2016 when Ancil took to Instagram to share concept art. 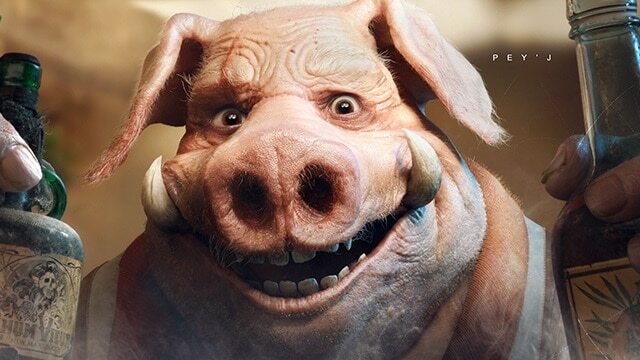 A few short weeks later, Ubisoft finally put its head above the parapet and officially announced that Beyond Good and Evil 2 was in development, chaperoned by Ancil himself at Ubisoft’s Montpellier studios. At E3 2017, Ubisoft cemented the existence of Beyond Good and Evil 2 with the first trailer of what had now become a prequel to the original game. Beyond Good and Evil 2 was real with the internet descending into fits of crazed jubilation. Since then, the delivery of content has picked up steam with Ubisoft communicating regularly via dev updates, activity on social media, and the like. Regarding tangible information, Ubisoft announced at E3 2018 that it is planning a beta with signups already live via the Space Monkey Program (more on that below). In response to a fan question on Instagram, Ancel has currently scheduled the beta for the end of 2019. With all this in mind, the earliest we can realistically expect Beyond Good and Evil 2 to hit shelves is 2020. Beyond Good and Evil 2 is a prequel, staged roughly a generation before the birth of the main character from the original, Jade. At a time when space is no longer the final frontier, but the fertile stage for expansion, all sentient beings pray at the altar of technology. That is until multiple disasters involving faulty AI ushered in an age of less intrusive and networked forms of technology. 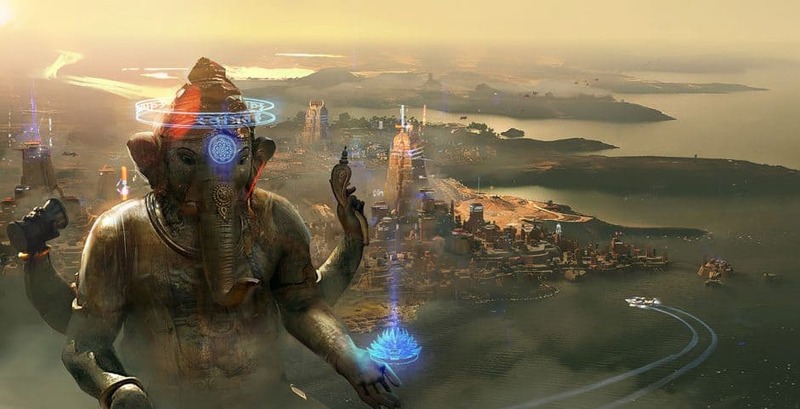 The story takes place predominantly on System 3 (though a limited number of other planets are explorable), a colonized world heavily stylized on the Indian Buddhist tradition and crowned by a sprawling metropolis called Ganesha. When humans began exploring the stars, pioneers from the Indian subcontinent and Southeast Asia led the charge. This influence manifests itself in cities and planets that display characteristics from these two cultures, as well as their religious heritage. As a means of expediting this rapid colonization, human-animal hybrids were genetically engineered by corporations to weather the inhospitable climes of increasingly hazardous planets. As the dregs of society exploited to questionable ends – including blood sports, organ farms, and slave labor – these beings are firmly rooted at the bottom of the social pyramid. 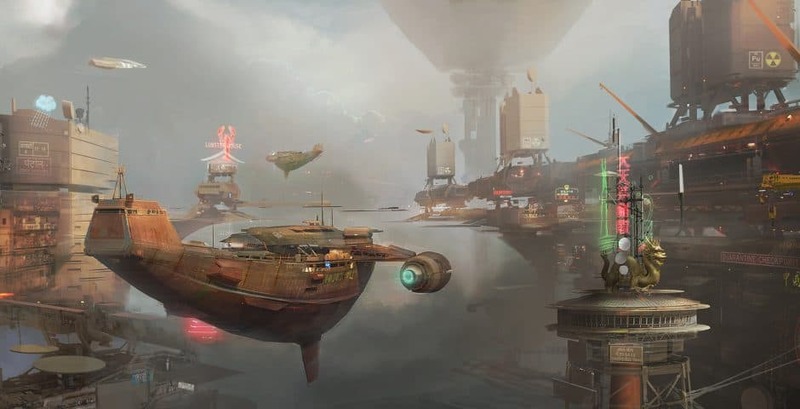 Effectively slaves tasked with constructing cities capable of sustaining human life, many of these hybrids turn to a life of piracy. Ganesha sits at the forefront of cosmic exploration as the epicenter of galactic commerce where humans, aliens, and hybrid creatures reluctantly co-exist. Due to the presence of vast deposits of in-demand cosmic resources, System 3 attracts its fair share of piracy and inter-corporation rivalry. On this basis, players take charge of their role as a pirate, who from humble beginnings must ascend the social ladder, gather resources, and explore to ultimately secure a place aboard a pirate ship called Gada and gain legendary captain status. Motivated by a desire for wealth and the far more noble pursuit of freeing fellow enslaved hybrids, the Gada’s crew gallivant across the cosmos swindling, dealing and fighting. Although successive trailers have done well to weave a rich tapestry, or vibe, for Beyond Good and Evil 2, they fail to flesh out a definitive narrative for the game. We get glimpses of a raging storm, a gargantuan mercenary Alpha Section mothership capable of trapping small vessels in long protruding arms, a mysterious disc, and a shimmering artifact all pointing towards some form of overarching objective or purpose. It all remains enticingly vague. Ancel and Ubisoft seem intent on stressing environmental storytelling through discovery and exploration. Although many of the characters from the original won’t appear in the game, lore and world building are set to allude to them. To compensate, a host of new characters bring color to the game. We have a South London-accented hybrid monkey named Knox, ace pilot Shani, the grotesquely avaricious porcine monstrosity Zhou Yuzhu, his right-hand woman Li Daiyu, and the piercingly green-eyed captain of the Gada Dakini. We also have the Gada’s chief engineer and Scotsman Callum, culinary maestro and returnee from the original game Pey’J, mystic quack Uma, and pirate slayer Jade (whose relation to Jade from the original is ambiguous). In keeping with the foundations laid out by the original, Beyond Good and Evil 2 remains an open-world action-adventure, but on a much grander scale. As a fully customizable pirate (including hybrids such as shark-human crossovers among other oddities), players will navigate the cosmic sandbox on foot, by jetpack, aboard low flight vehicles like hovering motorbikes, before graduating to space-faring ships for interplanetary trips further afield. 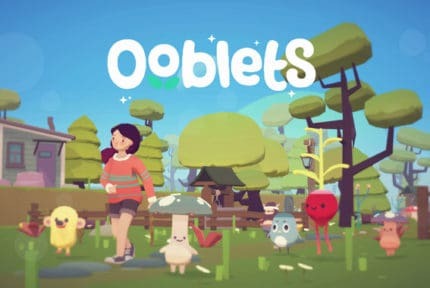 The start of the game will be limited to System 3, but as players progress the open-world galaxy will open up with other locales to explore. Cities will be fully interactive with focused verticality from buildings and vehicles, to NPCs and everyday activities. Much of the game will follow the common mission and quest pattern with a progression system based on acquiring resources, abilities, and skills very much in keeping with the RPG tradition. Beyond Good and Evil 2 will be playable as a single player game, with co-op and online multiplayer meshing into the experience. As for how this will work, Ubisoft and Ancel have remained tight-lipped apart from mentions of a co-op armada flying system. From in-engine gameplay demos, space flight appears fluid and defined by acrobatic maneuverability, while combat mechanics remain somewhat of a mystery. 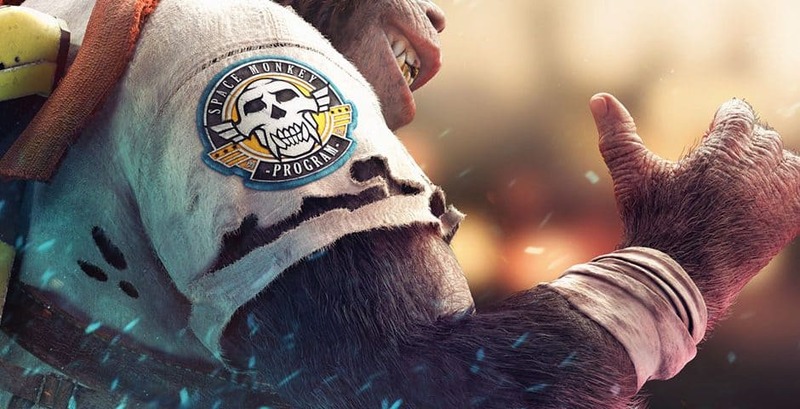 Aside from the trailers that popped up in 2008 for what was a sequel, there are two trailers for the game Beyond Good and Evil 2 has morphed into, each released at the past two editions of E3 in 2017 and 2018. The first isn’t for the faint of heart due to a liberal smattering of expletives. We see Knox expertly swindle a chocolate pig for a disc before embarking on a daring escape with his partner in crime Shani. We get a glimpse of Ganesha from the air with a battalion of police hot on the tails of the duo. After commandeering a police vessel, the pair makes its way aboard the Gada to the raucous applause of their fellow pirates. The E3 2018 trailer illustrates the camaraderie of the Gada’s crew through a series of charming interactions before a blistering ice storm ruins the party. A few explosions later, a massive Alpha Section ship appears, and an ominous katana-wielding Jade shows up. Back in June 2018, Ubisoft announced a partnership with HitRECord, a company specialized in collaborative media production and owned by none other than actor Joseph Gordon-Levitt. The collaboration was dubbed the Space Monkey Program and represents a direct conduit between the developers and fans. The idea is for members of the Beyond Good and Evil 2 community to contribute anything from artwork to music. Creators can then team up, finesse their work before submitting it to the program with the chance of their creations making it into the final game and bagging a paycheck in the process. Ubisoft is also running episodic live streams under the guise of the Space Monkey Report highlighting development progress through interviews and updates. Ubisoft has open-world pedigree. We need only look at Watch Dogs 3, which weathered a maelstrom of criticism but altogether offered an immersive and vibrant rendition of San Francisco. The hope is that by marrying Ancil’s proven ability to craft compelling narratives and Ubisoft’s exponentially impressive technical prowess, Beyond Good and Evil 2 will live up to fan expectations while retaining the character and charm that characterized the original.